Lambda Graphics. Lambda is the name of the equipment and process used to create crisp, high-impact, attention-getting color panels and photomurals, eliminating the fuzzy photo text, dust problems, dot patterns and film record charges that plague the conventional photo process. Featuring continuous tone digital technology, Lambda panels and photomurals are produced by transferring images directly from computer-generated digital files to reflective or backlit photographic materials. Images can be produced from 50" wide to any length. Digital Inkjet Graphics. High quality ink jet prints. They can be backlit but due to the "washing" of the image, this is not recommended. Power Panel. The Power Panel is a mural type panel, which is produced at a larger width. When it is hung on a curved or flatwall display, it bows outward and creates a large backlit graphic. A reflector panel is hung behind the Power Panel to create a lightbox. High intensity, non hot spot fluorescent lights are hung within this light box. The effect is a big, bold backlit with no structural elements of the display interfering with the image. ProCutting. ProCutting is a cost effective process for achieving visually exciting, high impact inlay, translucent, opaque and/or line art on fabric panels. 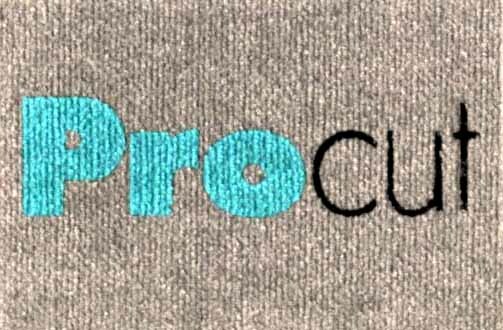 ProCut is a fabric panel that has an image or text cut out and inlaid with fabric, vinyl or a combination of both. You can even backlight panels with translucent vinyl. Traditional Graphics. Flexible Lexan graphics. Lexan graphics are manufactured on the 2nd surface of lexan and backed by a protective vinyl covering to avoid damage to the actual graphic. Lexan is engineered thermoplastic that is designed for use in the most adverse conditions. It is the most premier product for trade show graphics with a vastly superior life, greater scratch resistance and complete lack of memory even when rolled up in the case for long periods of time. All backcoats fo opaque headers are spray painted to match exact color specifications. All lexan graphics are produced so that no vinyl surfaces overlap. Halo effects are thus avoided.